So we decided to take a lazy night and instead of doing a full mile like we normally do we did a half a mile which is better than nothing so we will probably end up making it up tomorrow so we won’t be behind. Nana has been making up excuses so this is the second day she only did .1 miles but thinking positively she is at least still getting top and doing a little bit of a walk. Still no muscle spasms at night which is great BUT she is planning on doing a half a mile tomorrow. Still feeling really good, so far no more muscle spasms and has not been overheating which is great. Still trying to cut down our mile time. 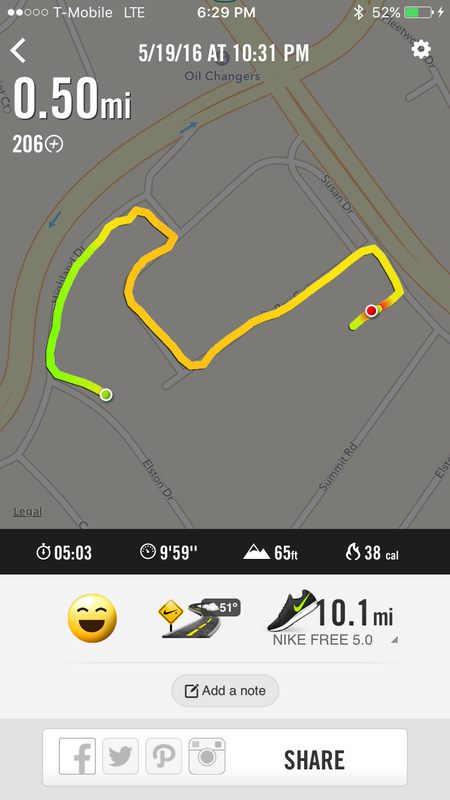 I feel great about the runs, i feel like I’m really pushing myself to get a faster mile time. My back is still acting up but i think its i haven’t ran in quite a while because i hurt and was not able to run or do anything for 3 months. One run closer to another 5k!